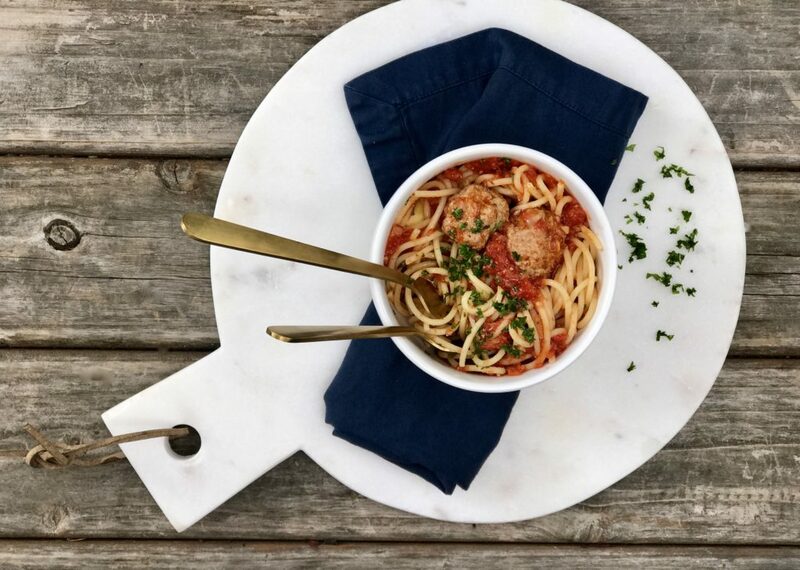 Spaghetti with meatballs and marinara sauce is considered an American family classic. Many think it is Italian, but isn’t. Italy does have its own version of meatballs, but they are called “polpettes” and they are not served with pasta. Unlike traditional American meatballs, polpettes are typically made from turkey or fish and are similar to the size of a golf ball. Italian immigrants that came to America in the early 1900’s began making meatballs, as meat was cheaper here. Sauce was added later and started with what is called “sailor sauce“. This basic marinara sauce originated out of Naples and is derived from the Italian word “marinara“, meaning “sailor“. Spaghetti, one of the only Italian ingredients available in the States, came last. And people soon began eating everything together. Meatballs are a much-loved staple in many cultures, with slight variations and different names. 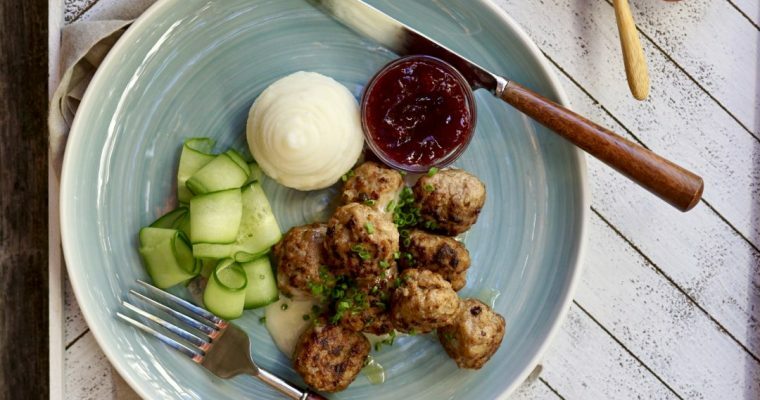 In Denmark “frikadeller“, Poland “klopsy“, Turkey “inegol“, Austria “fleischlaibchen“, Finnland “lihapullat“, Germany “frikadelle“, Hungary “fasirt,” Russia “koteleti, Spain “albondigas“, Middle East “kofta” and Israel “ktzitzot” just to name a few. My family loves meatballs with tomato sauce. The pasta is not required but is sometimes added, mainly for my little one. I make meatballs a few different ways, but this is a more classic recipe in which I use a combination of ground beef and ground veal. The permutations are endless, but cooking them requires a lot of practice. 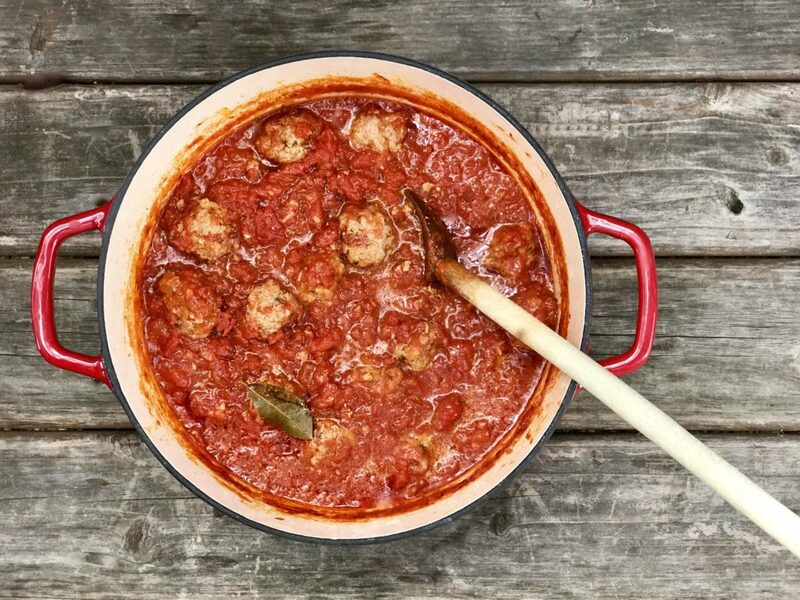 Gently making them with your hands, lightly browning them followed by slow stewing them gives you a delicious juicy meatball that you can’t resist. 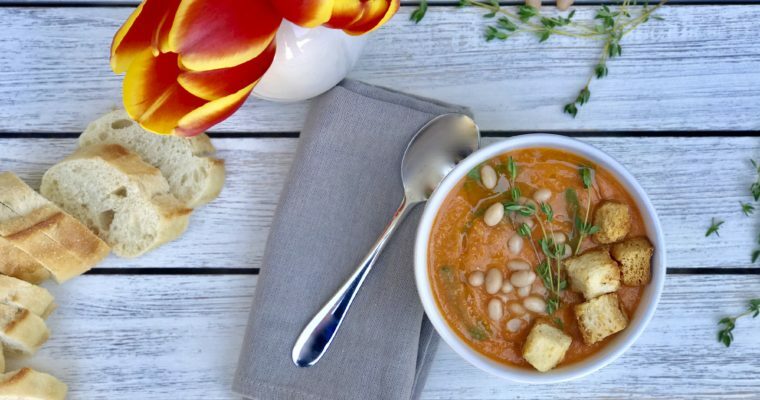 This is a perfect weekday meal especially in cooler rainy months. Step 1 For the Meatballs:In a medium mixing bowl, add the ground beef and veal. Mix well. Step 2 To the beef mixture, add the garlic, parsley, oregano, salt, pepper, panko bread crumbs, egg and Parmesan cheese. Using your hands, mix well to fully incorporate. Step 3 Using a teaspoon, form into small meatballs and repeat until all the mixture has been used. Set aside. Step 4 Place a large dutch oven over medium-high heat. Add the olive oil and when hot, but not smoking, add the meatballs in one layer. Gently shake the dutch oven to loosen the meatballs. Cook, lightly browning the meatballs for about 5 minutes. Step 5 Using a small teaspoon,gently turn the meatballs and cook for an additional 5 minutes. Step 6 Sprinkle the minced onions and garlic on top of the browned meatballs. Add the crushed tomatoes (and their juice), oregano, bay leaves, salt and pepper. 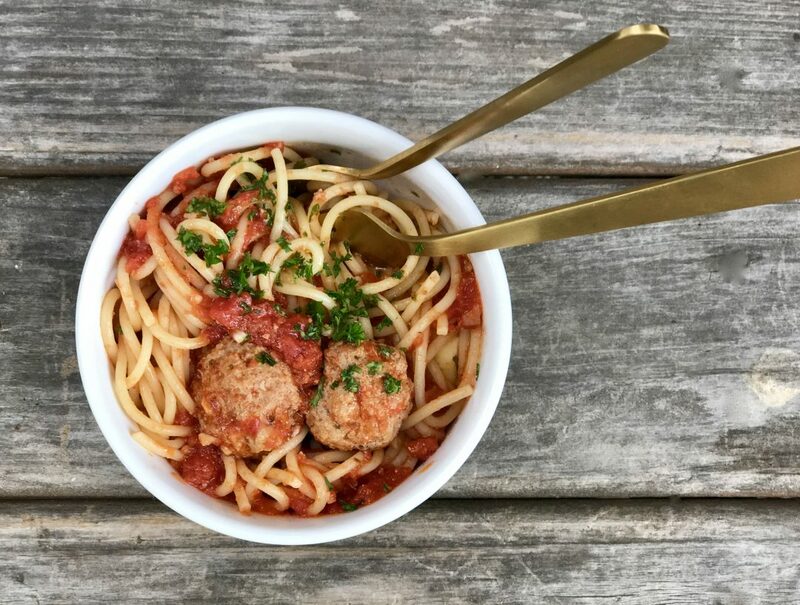 Using a wooden spoon, carefully stir the meatballs and sauce to incorporate. Bring to a boil. Reduce the heat slightly, cover and cook for an additional 15 minutes. Step 7 Stir the meatballs and sauce again. Lower the heat to a simmer and cook, covered for an additional 30 minutes.